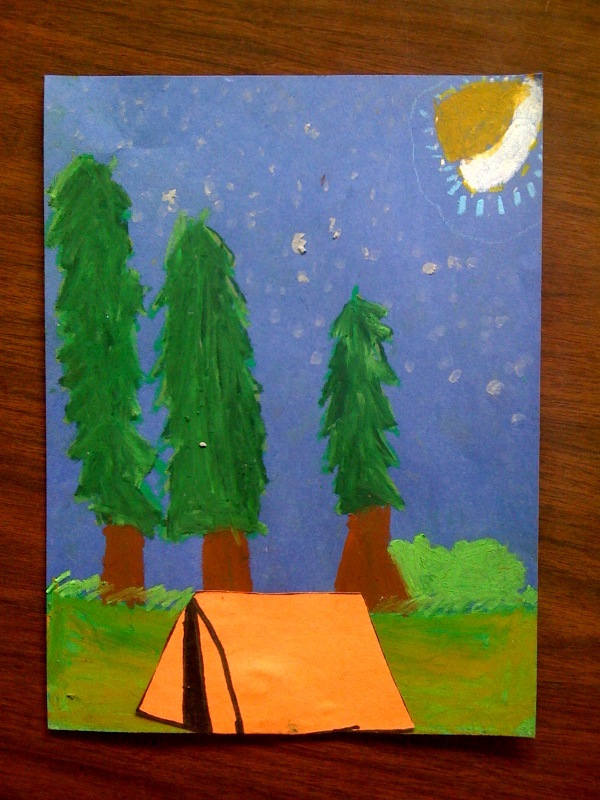 camping themed week to end the school year. 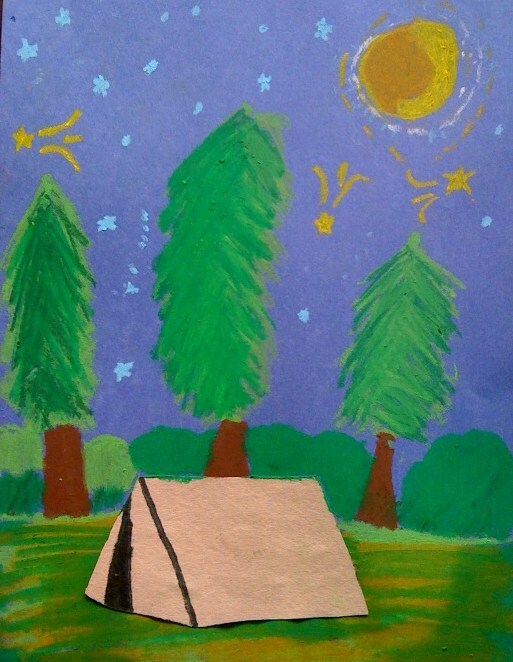 The backgrounds were all done with oil pastels and the kids were encouraged to layer different shades of greens and browns. 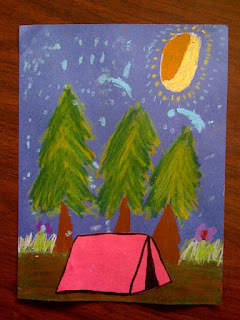 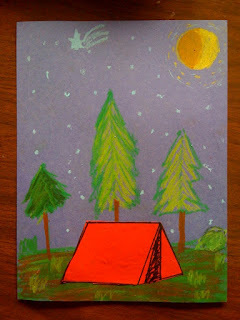 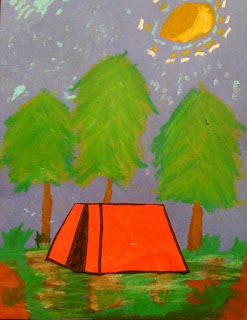 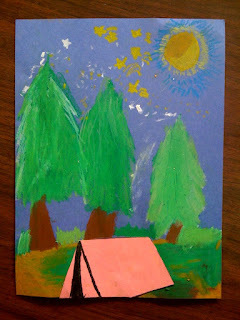 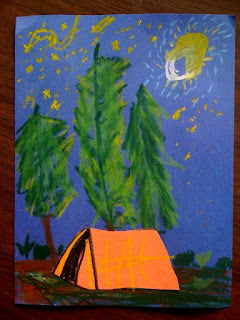 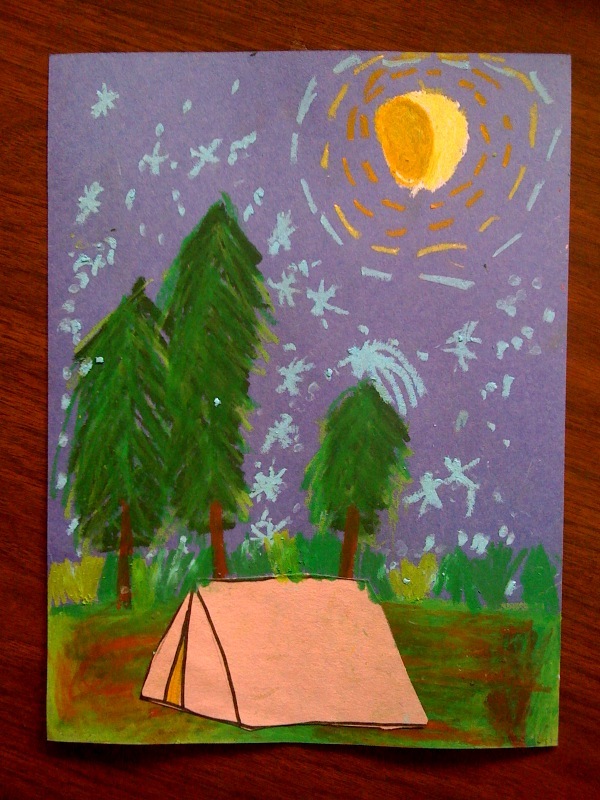 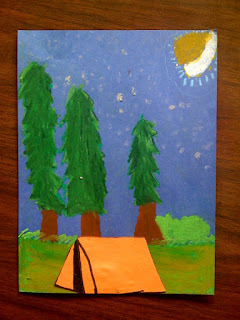 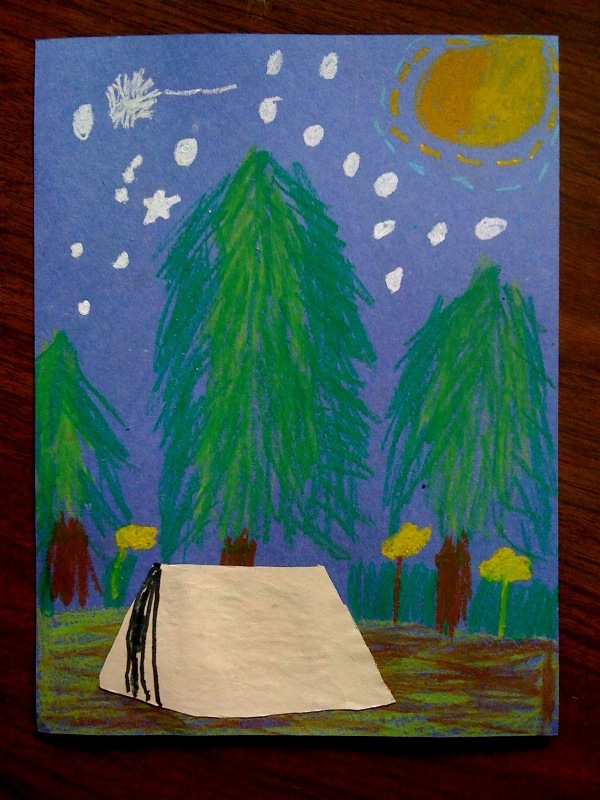 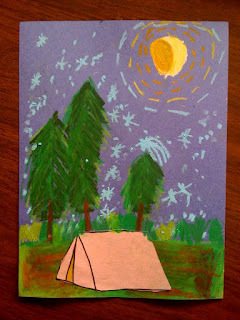 They made their tents out of construction paper and glued them onto their pictures after all the pastel work was done.